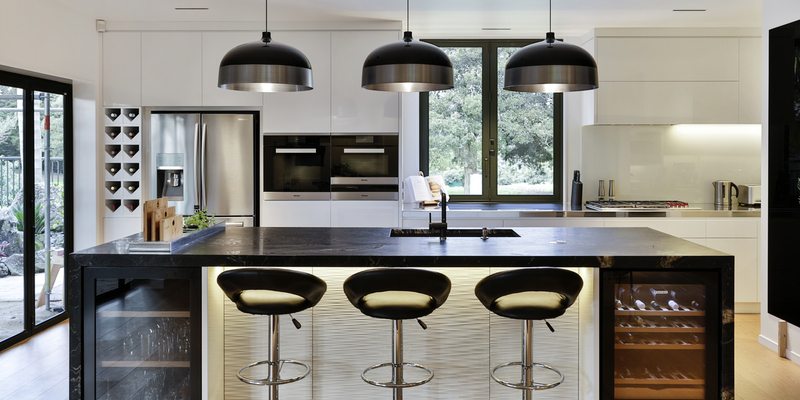 Kitchens By Design | Kitchen Design for Discerning Clients : Whangarei. A lot of entertaining happens in this home and our clients love cooking, as do their children, so lots of bench space was required. They also requested a new picture window, placed on the external back wall, to see the outside to their avocado orchard. This wall forms the visual backdrop of the kitchen and contains all the cooking appliances, refrigeration and wine storage. It also includes generous bench space, plus large drawers beneath for crockery and saucepans. The large Island is used as a secondary preparation space, for serving, entertaining and clean up. 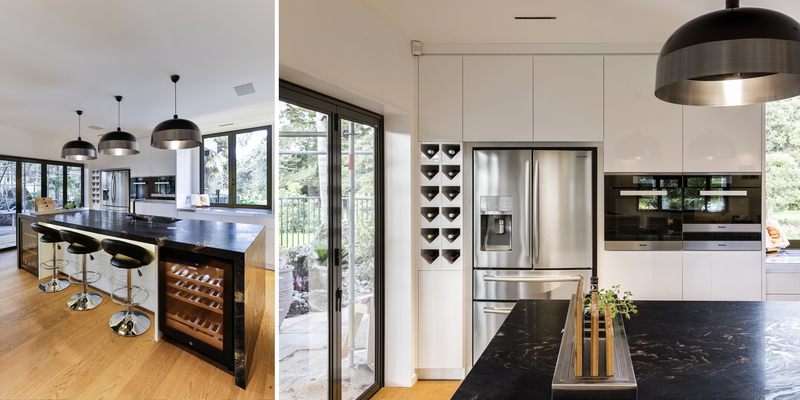 It features a wine fridge on the outer side, with a matching cabinet to store glasses. 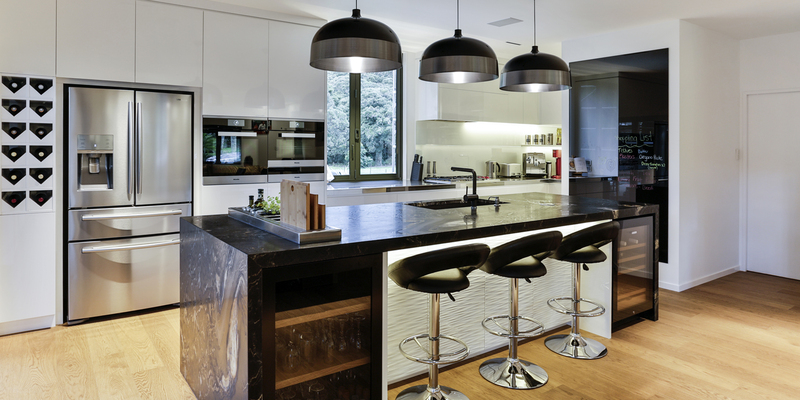 A built-in preparation centre holds herbs, chopping boards and bottles. 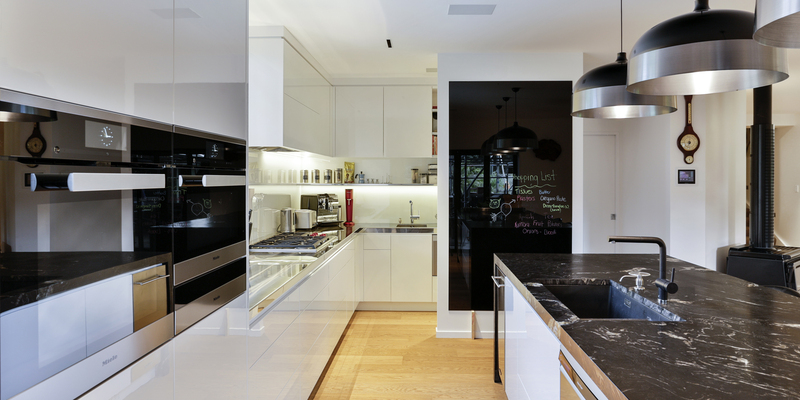 High-gloss white cabinetry contrasts and compliments the leather finished black granite on the island. 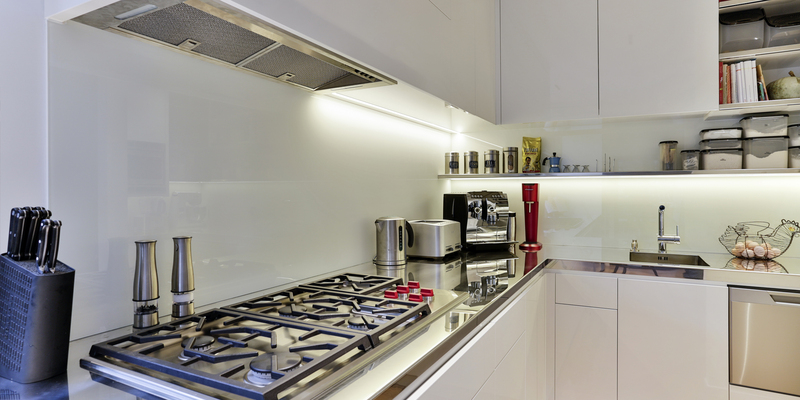 The front of the island features a series of cupboards with white, high-gloss lacquered waveboard doors . 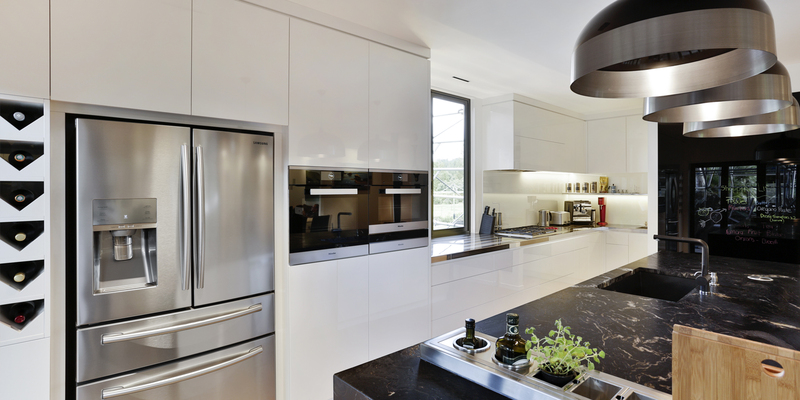 A crisp, stainless steel benchtop with knife-edge profile runs along the back wall and into the scullery. The large Island is used as a secondary preparation space, for serving, entertaining and clean up.